There's one treat I must eat every time I visit Disneyland and it's a Dole Whip. If you've never had one, it's light, creamy, pineappley (which is a word according to the Internet) soft serve that is served in Adventureland. It's really good and really easy to recreate at home. 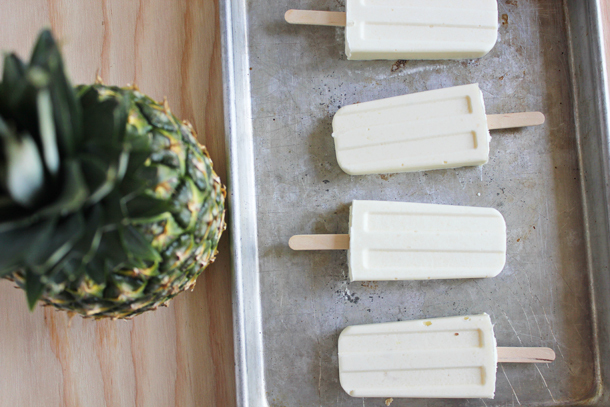 This recipe is for popsicle versions! The best part is that is only has four ingredients and costs about $4! Just blend all the ingredients together! Told you it was easy. 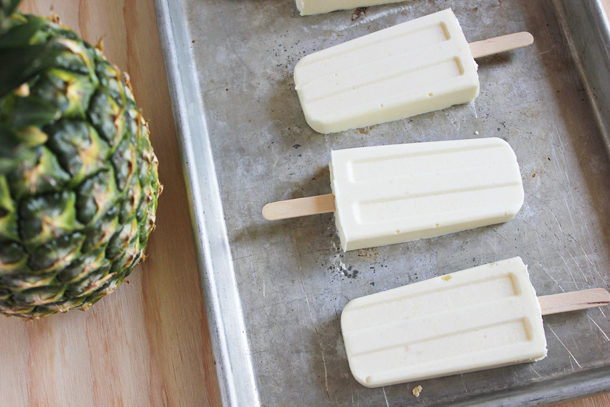 Be sure to blend it for a few minutes, so the pineapple pieces get blended until smooth. 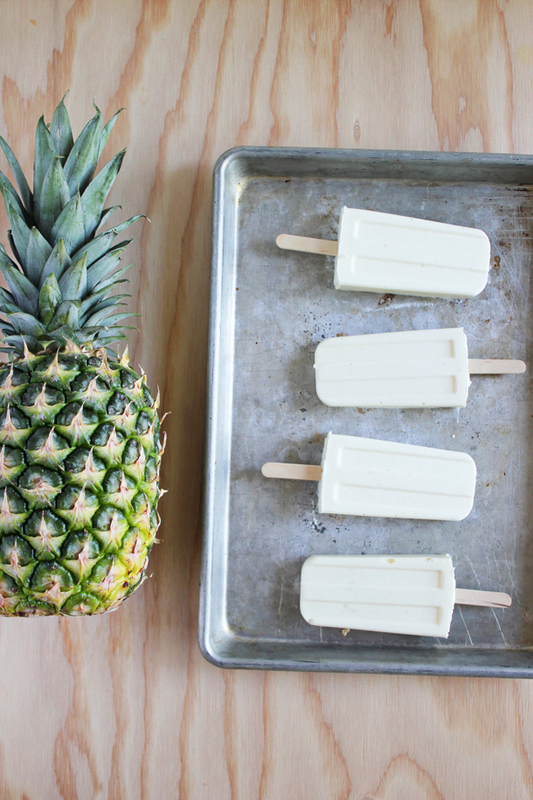 Then just pour in to your popsicle mold. 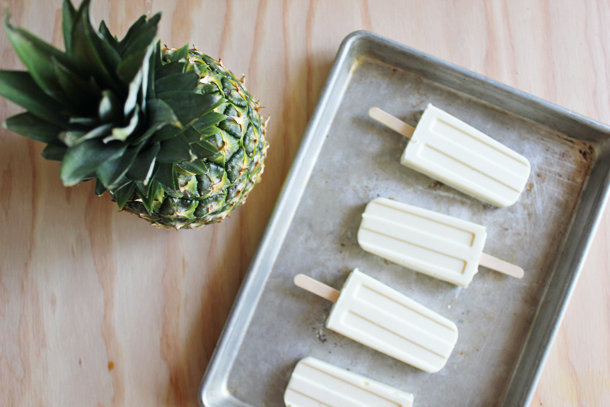 Let it freeze for about an hour, then insert the popsicle sticks. Freeze for a few hours or until solid. 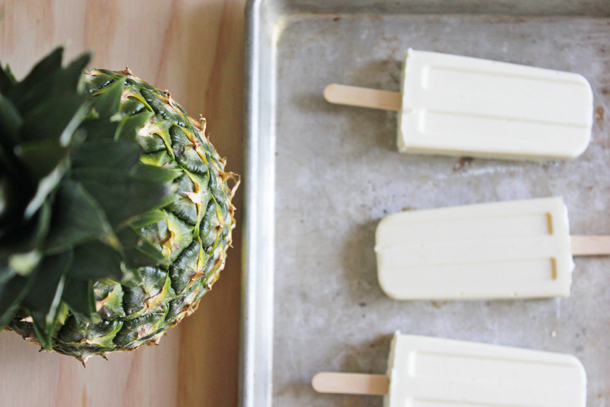 Oh my gosh these just look so incredible… Its so so hot in Phoenix (where Im at right now) I think Im going to have to start making some popsicles of my own.